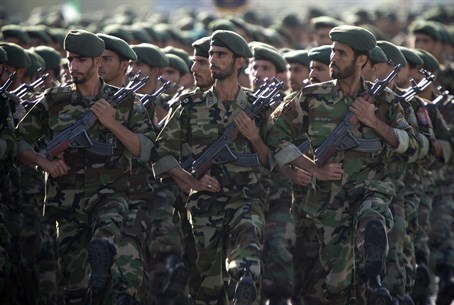 Arabic media reports Iran has appointed new spy master backing terror groups and gathering intel in Arab countries. Iranian intelligence is conducting widespread activities from within Egypt and from there branching out to other Arab countries as well, according to Arab security sources. The London-based Arabic-language Asharq Al-Awsat made the revelation in a report on Thursday, citing security sources who disclosed the Iranian intelligence operations. In the report it was noted that the Iranian diplomat Saeed Hosseini was expelled by the Egyptian government four years ago amid the 2011 "Arab Spring." Hosseini was under the command of Iranian Revolutionary Guards' elite Qods Force commander Qassem Suleimani. Iran's Qods Force is tasked with the Islamic regime's covert international operations, and as part of its scope has carried out terror attacks and assassinations against opponents of the regime. It also is tasked with providing training, weapons, funds and other aid to terrorist organizations that back Tehran, such as the Shi'ite Hezbollah in Lebanon. Hosseini was kicked out of Egypt over his involvement in acts of espionage in the country, and he has also been linked to operations in Libya, Yemen, Sudan, the Sinai and Gaza. According to the security sources cited in the report, Iran has appointed a replacement for Husseini - the new man on the job recently took charge in funneling weapons to the Iran-backed Shi'ite Houthi militia fighting to conquer Yemen. The Houthis have in recent months conquered the Yemeni capital of Sana'a as well as other major cities, and have moved southward where they have started seizing the strategic port city of Aden that controls the Red Sea.